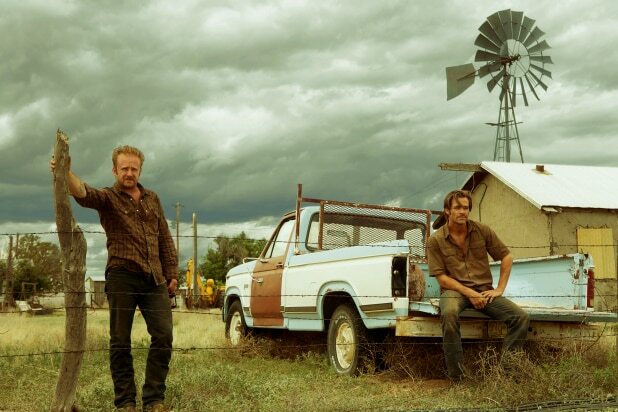 Righteous criminality and pokey humor make for disarming companions in “Hell or High Water,” a West Texas-set bank robbing adventure that offers the alternating acting pleasures of Chris Pine and Ben Foster playing outlaw brothers like second skins, and Jeff Bridges in master-class mode as the veteran Ranger on their trail. “Sicario” screenwriter Taylor Sheridan’s 21st century western — sort of a “Bonnie & Clyde”/”No Country for Old Men” hybrid, directed with a craftsman’s steady hand by David Mackenzie (“Starred Up”) — traffics in all the elements that have made the outlaw genre so enjoyable in the past, from bad acts leavened with wisecracks to the percolating suspense of whether hunter or hunted is smarter. It’s the undercurrent of a boom-or-bust region’s economic unease, however, that provides a welcome weight here, and makes this a fitting segue entertainment between summer’s popcorn punch and the serious season of heftier dramas ahead. 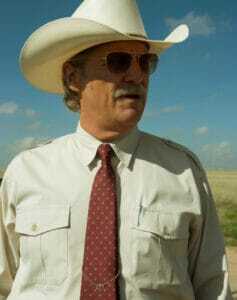 “Hell or High Water” kicks off with no sugarcoating what its protagonists do, only the why behind it, as we watch two masked gunmen — brothers Toby (Chris Pine) and Tanner Howard (Ben Foster) — rob a couple of small-town branches of a particular Texas bank, stealing only the cash from the teller drawers before peeling away in a dusty blue Camaro that they ditch in an ingenious manner at their family ranch. Tanner’s the trigger-happy one, an ex-con with a dark sense of humor, while quieter Toby, a divorced dad who cared for debt-ridden homeowner Mother Howard in her final months, is clearly new to lawbreaking. One thing’s clear, even if Sheridan shrewdly doles out the details of the brothers’ lives in bits and pieces: the boys have plotted out a clever scheme, one that smacks of economic revenge. Crusty lawman Marcus Hamilton (Jeff Bridges) senses there’s more to these holdups, and relishes the idea of outsmarting a couple of bandits on what looks to be a spree. But to his younger colleague Alberto (a coolly effective Gil Birmingham, “Unbreakable Kimmy Schmidt”) — who stoically absorbs the Ranger’s politically incorrect barbs about Alberto’s Native American/Mexican heritage — Marcus is merely an old white guy staving off the inevitable shackles of a directionless retirement. Though driven by a fizzy chase narrative that predictably includes bursts of getaway action and shocking violence, “Hell or High Water” is also a tour of the desolate new West, empty towns dotted with debt-relief billboards and peopled with the discontented. Mackenzie, an eclectic-minded Scot whose sense of location mood is exemplary, works well here with frequent collaborator cinematographer Giles Nuttgens to turn dusty roads, sparse businesses and wide-open spaces into an environment both beautiful and barren. The acting is a plus throughout. Pine and Foster do well seeding their characters’ actions — including a trip to an Indian casino — with the palpable feeling that what they’re doing is worth the risk, and possibly a last hurrah. Their performances are almost mirrors of each other, in that Foster’s trademark crazy-eyed explosiveness is occasionally tempered nicely by unexpectedly gentle and even wise moments, while Pine’s naturally sensitive vibe is broken up at times by pent-up anger. At the very least, these two are never obvious heroes or villains, which serves well the movie’s themes of desperation in the face of a shaky future. Bridges, meanwhile, takes the well-worn trope of the grizzled lawman and makes it feel fresh again, most notably in the way a drawling tough guy’s needling one-liners feel progressively less like personality ammo and more like a kind of flaking armor. His richly enjoyable performance is everything you’d expect from a no-nonsense virtuoso given something substantial to play. In a movie landscape that routinely feels disconnected from the issues that actually matter to people – uncertainty, the sense that things are rigged, and the desire to fight back — “Hell or High Water” is that rare offering that feels both old-fashioned in its action-thriller gratification and in-the-moment about everything else.